British Columbia currently has the largest and most diverse offering of Distance Learning programs. For convenience they have been separated into categories of public, private, and faith-based. Please note that while some options are specific to a particular city or region, many others are available province-wide. AVS Abbotsford Virtual School (Abbotsford, BC) Abbotsford Virtual School is a Distributed Learning school that provides educational programs for Kindergarten to Grade 12 students and Adults. AVS is a part of School District #34 (Abbotsford) supporting learners throughout BC. Our staff actively supports each student in developing an educational plan, providing resources, regular tutoring and on-going assessment. Access New West (New Westminster, BC) New Westminster VirtualSchool is an innovative online school that offers a variety of teacher-led online distance courses to students in British Columbia. We are part of Community Education in School District 40 (New Westminster). We are one of the most experienced online centres in British Columbia, having delivered courses over the Internet to students since 1999. Our teachers have extensive experience designing and leading online courses and we have created many of our own courses, ‘from the ground up’. Arrow Lakes Distributed Learning School (Nakusp, BC) Arrow Lakes Distributed Learning School offers flexible options for students from K-12 and for graduated and non-graduated adults to learn. There are three main programs offered within the school: A K-9 home-based learning program, a grade 10-12 blended learning program, and programs for graduated adults and non-graduated adults. Bulkley Valley Education Connection (Smithers, BC) The Bulkley Valley Education Connection is a distributed learning program offered by School District 54 (Bulkley Valley) to parents and students who are seeking an alternative to classroom based instruction for kindergarten to Grade 12 students. Teachers will work with parents and students to design a program suited to each individual student. Students enrolled in a distributed learning program usually take their educational program from home. They may enroll full-time or part-time or they may combine a distributed learning program with classroom-based instruction. Burnaby Global Learning Online (Burnaby, BC) Burnaby Online makes it easy to get a quality education no matter where you live or where you go. Learners and parents work with the online options provided by the Burnaby School District to meet the individual needs of each of our students. Central Interior Distance Education School (Prince George, BC) Welcome to the Central Interior Distance Education School known as CIDES. We are a distributed learning school that offers a full program for elementary, junior, and secondary level students in grades kindergarten to grade 12. Our staff is committed to providing an educational program that is effective and engaging. We are continually developing new ways of delivering instruction that engages and motivates our students. We are redefining the school as the hub of a community wide learning environment – a rich environment where an educational curriculum is delivered to students of all ages within schools, homes, libraries, institutions and wherever they choose to reside and/or travel. Choices DL (Port Alberni, BC) CHOICES is a Distributed Learning school operating out of SD70 in the Alberni Valley. We are similar to what is traditionally referred to as a distance education school, however, given our focus on the needs of students in School District #70, we really aren’t that distant! Our teachers work in Port Alberni, Ucluelet, Tofino, Hot Springs Cove, Ditidaht, Esowista, Opitsaht and Ittatsoo providing an academic alternative to traditional schooling. Collaborative Education Alternative Program (Qualicum, BC) CEAP is a K to 12 BC public online school. We offer K to 9 Blended Learning, at home or based out of local Elementary & Middle Schools, and Senior High School courses, at home or combined with high school registration at local SD69 high schools. Connect Ed DL (Pentiction, BC) ConnectEd is a teacher-led Distributed Learning and Continuing Education Programme which provides options for students who prefer to learn at home with the support of a parent or facilitator or who require time-tabling flexibility. In addition, this programme is available to Adult Students looking to upgrade or achieve high school / adult graduation. ConnectEd offers an array of academic courses, as well as some elective options. Courses can be started at various points throughout the year and are delivered mainly online. For students in grades ten through twelve, a full course load is offered as well as guidance regarding course options available through ConnectEd. Connected Learning Community School District No. 42 meets the learning needs of approximately 15,000 students of all ages in Maple Ridge and Pitt Meadows. The District is committed to educational choice and an inclusive, local approach to special education. It has developed numerous skilled trades training partnerships with colleges and universities. Coquitlam Open Learning 10-12 (Coquitlam, BC) Join us and experience technology-enabled learning today! High School Credit courses are free to most BC High School students and adults! We offer a variety of ways to meet your learning needs. Cowichan Valley Distance Education Program (Duncan, BC) Distance Education is a method of instruction that relies primarily on indirect communication between students and teachers, including internet or other electronic-based delivery, teleconferencing or correspondence. Distance Eduction Program provides another choice for learning within the current system. DEP takes place outside of the regular classrooms typically when a student is at a distance from the teacher and the regular school programs. Students may opt for distributed learning due to scheduling conflicts for required courses or sometimes because of learning preferences. Students in DEP programs have increased flexibility in determining their academic schedule as school calendars are not bound by time and space. Delta Access (Delta, BC) We offer a wide variety of courses designed to meet a wide range of needs. You can expect that by enrolling in an online course through the Delta School District that you will receive a rich educational experience taught by highly qualified teaching staff. Online curriculum will be supported by frequent communication through a variety of electronic means and if you are in the BC Lower Mainland area, by optional face-to-face communication as well. Online learning offers students opportunities to access good instructional materials that fully meets the provincial learning outcomes using technologies that provide access at times and places convenient to students. DESK: Distance Education School of the Kootenays (Nelson, BC) DESK is an innovative centre for online learning. At DESK, we offer each student a unique learning experience. Whether you are looking for BC Ministry of Education K-12 curriculum leading to Grade 12 graduation, or unique locally developed courses, DESK has a course or program right for you. EBUS Academy (Vanderhoof, BC) We are an online school that provides the best BC Public School learning programs and courses to students. Founded in 1993, EBUS is an established leader in distance learning and currently enrolls 3000+ students ranging from Kindergarten to Adult. Our online programs are individualized to meet the unique needs and interests of our students. We offer online classes that provide flexibility while ensuring that students meet provincial learning outcomes. We pride ourselves on a very strong online school community. Ecole Virtuelle du CSF (Port Coquitlam, BC) Bienvenue! Vous êtes maintenant dans les couloirs de l’école Virtuelle du Conseil scolaire francophone de Colombie-Britannique. Vous êtes un ayant droit, vous êtes responsable et autonome, vous aimez l’utilisation des technologies informatiques et vous recherchez une façon motivante de complémenter votre secondaire en français, et bien vous êtes au bon endroit pour commencer ou continuer une grande aventure! Welcome! You are now in the corridors of the Francophone school board in British Columbia Virtual School. You are a beneficiary, you are responsible and autonomous, you like the use of computer technology and looking for a motivating way to complement your high school French, well you’re in the right place to start or continue a great adventure! Education Outreach Program (Salmon Arm, BC) Welcome to Distributed Learning in School District #83 – North Okanagan Shuswap! Education Outreach generally operates during the normal school calendar within School District 83. The staff is available throughout the last week in August to meet with students wishing to enroll. This helps ensure students will have their course materials and be actively working on their course work in September. Encompass K-9 (Coquitlam, BC) Encompass K-9 is a distributed learning program that offers students from Kindergarten to Grade Nine a unique full-time option tailored to the needs of each student. Distributed learning programs meet the provincial learning outcomes for each grade level under the direction and supervision of a certified teacher. eSchool BC (Kelowna, BC) eSchoolBC provides a very flexible and engaging learning option for BC students. These courses are free and count fully towards graduation and university/college prerequisites. Online education isn’t for everyone, as it requires good self-discipline. Given that, if you are able to manage your time well, online education may be a great opportunity for you. Fraser Valley Distance Education School (Chilliwack, BC) FVDES offers distributed learning to residents of British Columbia. We offer online and paper-based correspondence courses from kindergarten to grade 12. These courses can be used to move towards graduation, or for upgrading, and are open to residents of British Columbia living in or out of province (specific regulations apply). Founded in 1990, Fraser Valley Distance Education School is one of the largest distance education schools in BC. We currently have over 3000 students experiencing personalized learning. Garibaldi Home Learners (Vancouver, BC) The Garibaldi Home Learners’ Program is an inclusive, flexible, accessible multi-aged program. With the child at the centre, the parents, student and teacher work as equal partners in each child’s learning experience. The program is open to students from Kindergarten to Grade 7. GROW – Graduation Routes Other Ways (Williams Lake, BC) We are pleased to welcome you to the GROW Centre. The GROW Centre is our Distributed Learning umbrella for several different programs: Adult Continuing Education, Skyline Alternate Programs (Grades 8-12), Distance Education (Grades K-12) and Cross-Enrolled courses (Grades 10-12). Home Quest (Delta, BC) Home Quest is a Collaborative partnership between the Delta School District and parents seeking an alternative to traditional classroom-based instruction. The program is designed for students in Kindergarten to Grade 7. Home Quest is a Ministry funded Distributed Learning (DL) program that offers participants a range of opportunities to enhance and broaden their educational experiences. By enrolling in Home Quest participants have access to Delta School District’s educational resources, provincial curriculum materials, and hands-on learning experiences, while maintaining a flexible learning environment within the guidelines of a DL program. Hume Park Learning (New Westminster, BC) New Westminster Homelearners’ Program was established in 2002 as a Distributed Learning program administered by the New Westminster School Board. In September 2013, the program moved to Hume Park. We are a small K-8 Learning Centre with under 150 students, allowing everyone to know each other in a welcoming, friendly community. BC certified teachers facilitate classroom activities, outdoor programs, music programs, art and academic programs, and provide support for home learning. All Hume Park Learning Centre teachers have each had their own children in the program and are passionate about what they do. The environment is caring, supportive, and respectful—celebrating student and family individuality. Parent involvement in classrooms is welcome and encouraged. Sign up at any time during the year. Island Discovery Learning Community (Bowen Island) Our program was started 12 years ago by a group of parents just like you, for the same reasons you have chosen to homeschool. We like to think of ourselves as homeschooling people helping other homeschooling people. We hope to establish a relationship with you where you feel like we are working alongside you to help your child thrive this year, socially, academically, and emotionally, too. Juan de Fuca Distributed Learning (Victoria, BC) Juan de Fuca Distributed Learning Centre provides British Columbia Ministry of Education courses leading to Grade 12 graduation. Kamloops Open Online Learning (Kamloops, BC) KOOL seeks to establish itself as a provincial leader in quality distributed learning. We are dedicated to providing the very best online learning experiences for our students by offering programs that are flexible, rigorous, and which are supported by services that are provided in a relevant and timely manner. Kootenay Discovery School District Learning Centre (Fernie, BC) Kootenay Discovery School (KDS) functions to provide educational opportunities that may not be possible to students attending a traditional,”bricks and mortar” school. We offer alternative, individualized educational programs to students in Kindergarten to Grade 12 + Adult. KDS provides self paced instruction for learners who wish to complete a course for graduation, take a course for interest or work to obtain their adult graduation diploma. Langley Education Centre (Langley, BC) Langley Education Centre (LEC) offers secondary school options for teens and adults to continue and complete a secondary education. If you’ve decided to take control of your future, LEC will help you achieve your goals. The Link Gr. 10-12 (Victoria, BC) The Link is the secondary site of Greater Victoria School District’s distributed learning school. The Link offers a hybrid approach to distributed learning for students from grade 10 through grade 12. The Link supports the student achievement of learning outcomes through our online based programs. Teachers maintain communication with students and their families by email, telephone and through face-to-face meetings. All teachers are certified by the BC College of Teachers and are responsible for establishing student learning plans as well as for assessing and reporting on student achievement. Lochiel U-Connect Education Centre (Langley, BC) Located in Langley, BC, Lochiel U-Connect Centre offers a unique, blended, site-based/homelearning environment for students. Students from Kindergarten through Grade 9 can engage in a learning community that follows the Ministry of Education outcomes while respecting the individual learning style and interests of each student. North Coast Distance Education School (Terrace, BC) We are a part of the public school system of British Columbia and we offer a full range of quality teacher-led programs for learners of all ages, Kindergarten to Adult. Our focus is the BC Northwest, from the Haida Gwaii to the Bulkley Valley, but we have students across the province and around the world. NIDES: North Island Distance Education School (Courtenay, BC) NIDES is North Island Distance Education School, serving British Columbia Residents for almost 30 years. NIDES offers online and paper-based courses for students from Kindergarten to Adult. Courses are taught and facilitated by BC certified teachers. North Vancouver Distributed Learning School (North Vancouver, BC) Welcome to the North Vancouver Distributed Learning School! Our Vision: To provide students with a flexible pathway to graduation and an alternate way to complete many academic and elective course leading to a Dogwood Diploma. Northern BC Distance Education School (Fort St. John, BC) NBCDES is a Distributed Learning / Distance Education School providing BC Ministry of Education approved courses and programs to learners in northern BC and the Yukon. We provide quality education opportunities to school aged students K to 12, home based, in school, adult students seeking to graduate through the Adult Grad Program, and graduated adults seeking to upgrade or further their learning. We offer a range of courses offered both in print and online versions and use technology to communicate with our students and create a social learning environment. Partners in Education Program (Powell River, BC) The Partners in Education (PIE) Program is a distributed learning school that allows children to be educated, in part or whole, at sites outside of regular school campuses. Richmond Virtual School (Richmond, BC) Richmond Virtual School (RVS) is a Distributed Learning secondary school which opened in 2007. All our courses are full credit and follow the BC provincial learning outcomes. RVS uses a successful hybrid model of online and face-to-face interaction to deliver high quality and dynamic learning opportunities. We use Moodle as our electronic course management system. Our Moodle site can be accessed through most modern Internet browsers on PC and Mac computers. Rocky Mountain Distributed Learning School (Kimberley, BC) RMDLS offers full-time elementary (Learning @ Home) and secondary programs for students who are fully educated at home. We also deliver free, part-time high-school courses accessible anytime, anywhere in B.C. We seek to provide the utmost flexibility to students and parents while offering the very best teacher support. Our programs are led by qualified educators, providing quality service to learners. Please contact us to learn more or to enrol in our programs. Welcome to RMDLS! South Central Interior Distance Education School (Merritt, BC) We are a Distributed Learning School that provides quality education for school aged students K – 12, adults seeking graduation, and graduated adults. We encourage you to explore our courses which feature excellent print resources with the added flexibility of electronic support. Our courses are tuition free with a refundable resource deposit. We pride ourselves in our dedication to addressing the needs of individual students. SIDES: South Island Distance Education School (Victoria, BC) Students at SIDES have access to a variety of learning tools including diagnostic assessments, electronically-delivered courses, online learning groups via the virtual classroom, and various print-based courses. Students have the flexibility to choose the method of learning that best meets their learning style and the distance delivery that best meets their needs. South Peace Distributed Learning School (Dawson Creek, BC) The South Peace Distributed Learning School (SPDLS) is School District #59’s Distributed Learning Program which provides curriculum and teacher support to parents and students who are looking for alternative ways to complete their education. SPIDER: Students Participating in DE Resources (Gibsons, BC) SPIDER offers courses leading toward high school graduation, anytime anywhere there is internet access. SPIDER offers families flexibility with access to many school district resources, including fine arts and outdoor education, in order to expand their child’s educational program. SPIDER is a unique online learning program for the Sunshine Coast providing teacher support and learning resources close to home. Courses, resources, and quality instructional support are provided free of charge. Summit Learning Centre (Mission, BC) Summit offers full-time elementary and secondary programs for students who are fully educated at home. We also deliver free, part-time high-school courses accessible anytime, anywhere in B.C. We seek to provide the utmost flexibility to students and parents while offering the very best teacher support. Please contact us to learn more or to enrol in our programs. Surrey Connect (Surrey, BC) Surrey Connect values the individuality of all students. We believe that all learners can be successful. We are committed to providing a caring learning community that fosters respect, integrity and personal achievement in an open and innovative environment. YouLearn.ca (Oliver, BC) We are a non-traditional school which offers continuing education (courses delivered by attending one of our centres) and distance learning where you can study from home via our online learning network. We serve the needs of students throughout our local communities of Keremeos, Osoyoos and Oliver and FAR BEYOND! Fawkes Academy (Vancouver, BC) The mission of Fawkes Academy is to provide individualized educational programs for children/adolescents with autism spectrum disorders (ASD) and other complex developmental disabilities. Operating under the authority of GABA® Children’s Society, Fawkes will use the most effective, scientifically validated instruction to maximize the development of each student’s communication and language, social, academic and life/independence skills. Our philosophy is that every child is unique, every child is valued and every child can learn. We believe that effective and efficient teaching and behaviour management, provided by skilled individuals, will enable each student to achieve to the fullest extent of his/her individual abilities. iLearn BC (Surrey, BC) Welcome to iLearn Distributed Learning (iLearn DL), a Grade 8 to 12 Ministry-approved school transforming learning for the 21st century. Our courses are delivered in a blended format, combining face-to-face and online learning in a thoughtful way. KLEOS Open Learning (Kelowna, BC) Kleos Open Learning (DL) is a leader in personalized learning and special education. We develop quality academic programs for students in grades K-12 by assessing a student’s learning style, and then incorporating learning style profile results into his or her academic program. We believe each student is one-of-a kind, not one of many. This core belief shapes our learning community and philosophy of education. Oak & Orca School (Victoria, BC) Oak and Orca Bioregional School is located in Victoria, BC Canada. With programs for home learners, two small school houses, summer programs, a program for 3-5 year olds, and daily Out of School Care, Oak and Orca is a place that is always full of life. We are committed to providing quality programs with an environmental perspective and choices for children. Pacific Spirit School (Vancouver, BC) Pacific Spirit School (PSS) is the flagship program of the New Learning Society which supports children in developing the foundations they need to live genuinely fulfilling lives. PSS is an inclusive, independent, K-7 school located at Jericho Hill Center, a parkland setting adjacent to Jericho Beach in Point Grey. We offer a small class environment where the BC Core Curriculum is met or exceeded. Self Design (Vancouver, BC) SelfDesign is a learner-directed, enthusiasm-based educational methodology. SelfDesign K – 12 seeks to co-inspire wonder, joy and integrity in all learning experiences and relationships. Our various programs enable authentic self-discovery and reflect respect for the rights of all learners, young and old, to assume responsibility for their own learning paths. Anchor Academy (Salmon Arm, BC) Over the years Anchor Academy has been privileged to serve literally thousands of students. A number of these have achieved amazing academic milestones, winning prestigious awards and scholarships. For this we are deeply grateful. However, our greatest joy is when our students have it in their heart “to love and serve Jesus Christ”! ASCEND Online School (Cache Creek, BC) ASCEND Online is a Ministry of Education funded BC Catholic school. We partner with you to school at home, either as a registered home learner, or as an enrolled student with a BC Certified Contact Teacher, provided by us, to assist you in covering the BC Curriculum and Core Competencies. Our Gr. 10-12 courses are offered online or in a text based format. We also provide many programs to support students of various abilities and needs. ASCEND Online: Faith, Family, and Flexibility. 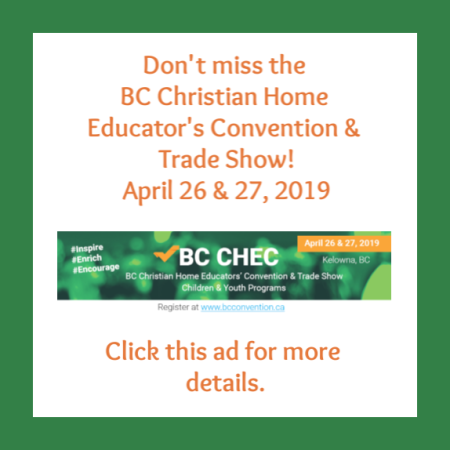 CHEK Across BC (Nelson, BC) CHEKABC is a schooling at home program committed to historic Christianity on which Western Civilization was founded. It is a program distinguished by flexibility and choice and serves the larger Christian community through Christian BC certified teachers who provide either personalized or online service. The program accommodates the different educational philosophies that are found among those who choose to school at home. It is designed, according to parent choice, for different learning styles. CHEKABC adapts to the special learning needs of the individual student, to meet the goals that parents have for their children. CHeS Christian Homelearners eStreams School (Grindrod, BC) Whether you are old friends or new acquaintances, we invite you to explore our website – to ponder, to consider, to discover what we have to offer you. We want to ignite in you a renewed sense of wonder, purpose, and appreciation for your own home learning journey. Heritage Christian Online School (Kelowna, BC) We understand that our students learn best when their education is tailored to their interests, abilities, and needs. Every home-educator’s needs are different, thus we have three design options to accommodate those differences. As being a Ministry funded program, we are accountable to the Provincial Learning Outcomes (PLO’s), but we offer a flexible approach maintaining your educational philosophy while meeting the PLO’s in ways that suit your family’s method of learning. Pathways Academy (Prince George, BC) Pathways Academy is a fully-accredited Christian school serving K-12 students in all regions of BC. Our BC-certified teachers deliver courses at no cost to BC residents. The school recently changed its name from Diversity by Design DL Academy to Pathways Academy. Pathways Academy excels in creating collaborated, personalized, one-of-a-kind learning experiences. Whether students learn with ease or face the challenge of learning differences, Pathways can help with the journey. We meet each student right where they are, identify their strengths and challenges then together map out possible routes to their goals. Where assistance is needed, we do all we can to provide it. Pathways’ flexible learning program, complemented by community opportunities, a variety of learning and assessment strategies, and forward-thinking educational research helps students realize their educational and personal potential. RCOA Regent Christian Online Academy Regent Christian Online Academy has developed educational tools to meet every need you may have as a schooling-at-home family. 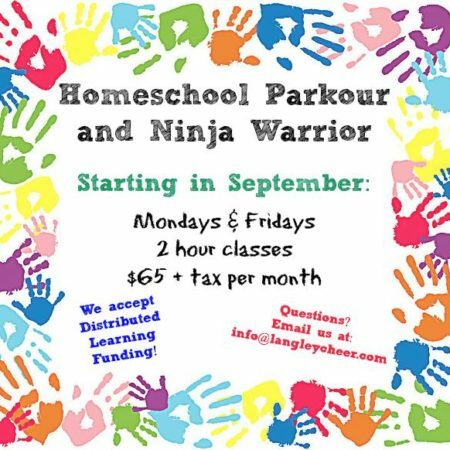 We understand that home-based learning is unique in its timetable and delivery, and we will therefore work together with you to design a program to fit with what works with the unique dynamics of your family. We also provide weekly community classes and highschool activities, they create an environment for group learning, promote community between families and with the school, and provide opportunities for specialized instruction. TLA Traditional Learning Academy (Surrey, BC) At TLA, we believe that you, the parent, are your child’s primary educator and that you know your child best. We support your choices and goals for your child’s learning and recognize that your child is a unique individual. We consider it a privilege to partner with you in their educational journey. Valley Christian School (Mission, BC) For over 20 years, Valley Christian School has supported and encouraged home schooling families all across BC in providing quality Christian education for their children. We’re still doing that today. If you are just starting and have lots of questions, we can help you get started. We even have a stock of workbooks, textbooks, and readers which you can borrow or purchase. 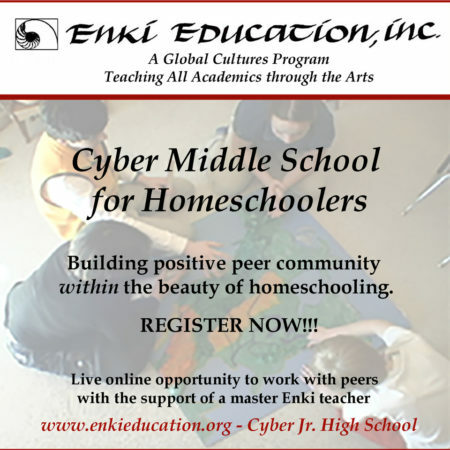 If you are a seasoned home schooler and all you want is to register and be on your own, that’s fine too. We have a number of experienced home schoolers on staff to help you in any way we can. Give us a call if you’d like more information. West Coast Adventist DL School (Williams Lake, BC) Founded in 2006, West Coast Adventist School is part of the Seventh-day Adventist educational system. This educational system is the largest protestant education system in the world and has been in existence for over a century. We draw on this experience and combine that with new technology to enable us to bring to you Adventist Christian education no matter where you live in British Columbia or the world. Given the SDA education philosophy of recognizing the role of parents as the primary educators of their children, this school could be a natural fit. For SDA parents, many of whom want an Adventist component in their home educational program, it makes sense that the Distributed Learning option be offered. We are pleased to be offering the Kindergarten to Grade 12 programs. These programs are fully accredited with the British Columbia Ministry of Education.